The wings are folded back on either side, and bird’s head rests gently forward, as it takes some time out from feeding and flying. 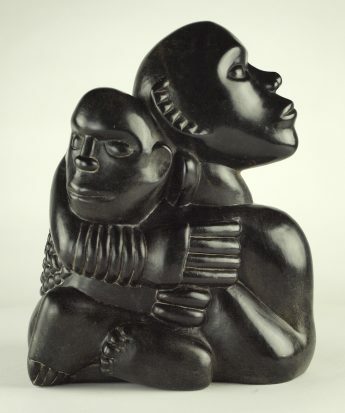 So simple but powerful, the best of contemporary Zimbabwean sculpture holds its own on an international stage. 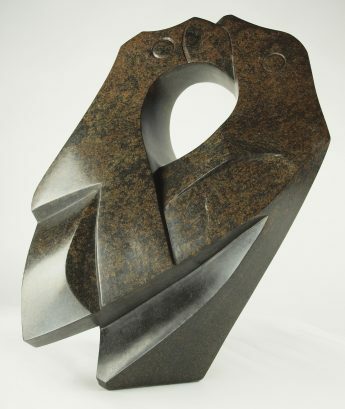 Nesbert’s minimalist style, with utter simplicity and clean confident lines, has made him one of Guruve’ most popular artists and this lovely sculpture is another tremendous example. Springstone is a hard variety of serpentine stone. It is suitable for outdoor display, as it is dense and impermeable and has very few flaws that might be exacerbated by frost action. All colouration and texture within the stone is entirely natural, merely enhanced by the application of a coat of clear wax.